Shame is an uncomfortable feeling, isn’t it? It is a feeling of humiliation that stems from the belief that we’ve done something wrong or that there is something disgraceful about us. Sometimes we trick ourselves into thinking that if we leave shame hidden in the dark, maybe we can pretend it isn’t there. Unfortunately, that just isn’t the case. The longer shame is hidden, the more it will continue to affect us. It’s important to explore shame and move past feelings of separation and alienation in order to open ourselves up to becoming comfortable with who we are. 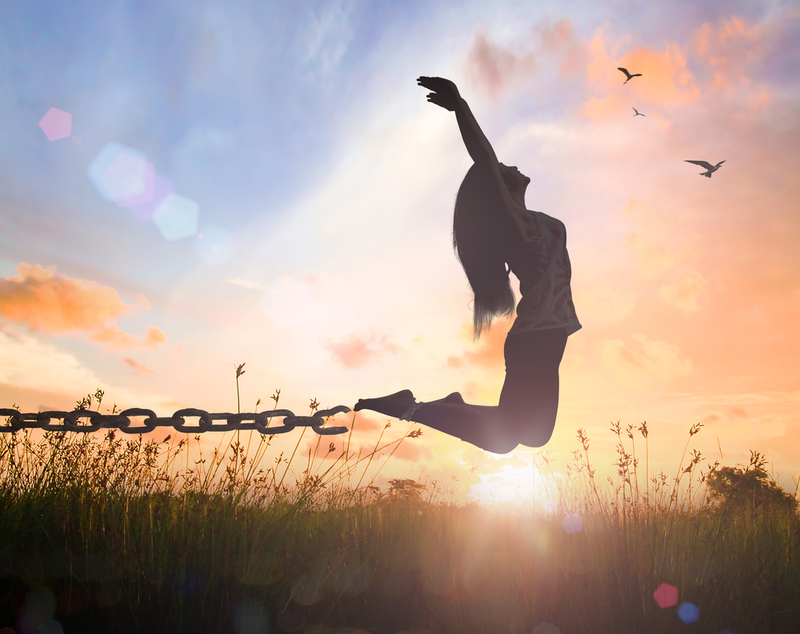 In this blog post, we will discuss some of the life-changing ways to navigate feelings of shame, from ourselves and from others, that will help empower self-worth and create a positive life. Facing shame can be a painful experience, but it is necessary in order to move forward after experiencing trauma. This process begins with befriending your feelings. It may be helpful to speak to a professional that can help guide you through this process. When shame is imposed illegitimately, it is an unfair burden and hard to disengage from, and a counselor or support group can help. Start by asking yourself how shame appears in your thoughts about the past and who you are. Create space between you and your feelings to gain some psychological distance and a new perspective. This gap, in time, is what will set you free. You may have carried your story of shame for a long time, but it doesn’t have to be that way forever. Sometimes people feel shame related to a decision they made or an action they took, but sometimes shame comes from others telling them they’re shameful, or blaming them for something they had no control over. Begin with telling yourself that these feelings that you are left with do not define your worth or your identity. Stand up and allow yourself to feel your familiar story. Then, take a step to one side and leave your story in the past, and allow yourself to see what your future could look like without these thoughts consuming you. When you meet your feelings of shame face-to-face, examine the root of what drives your thoughts of inner negative self-talk. You will begin to see that speaking to yourself this way will no longer hold true. Start by addressing how inaccurate and invaluable your inner voice is and begin reversing that language into a more positive message. Turn your attention away from your self-critical thoughts and strive to live in that space as much as possible. You will find that your negative thoughts will begin to lose their power. When we carry around feelings of shame, our hearts are stuck, closed and wounded. Try living with a heart wide-open, and you will begin to notice the tenderness around you that may have been there all along. Once shame has been addressed, you can allow yourself to feel the wonderful, simple experiences that everyday life has to offer. Try experiencing things, and people, with fresh eyes. Dig deep and find the courage hidden within you to open your heart to the world and eventually, to those around you. A new life awaits, and it is one full of possibilities. If you are experiencing feels of shame as a result of family violence or abuse, please contact Kindred Place to speak to a member of our clinical staff. This article was adapted from Dr. Gail Brenner. Read the full article here.